There’s more to brokering than securing clients the best lender rate possible. Just ask Hercules Galang. The co-founder of Mortgage Scout cut his teeth as a financial planner and mortgage specialist for TD Bank and Scotiabank, and the approach he takes to his clients is atypical in the mortgage industry. That might be an understatement. The years Galang spent as a financial planner helped him become a top 1% producer at both TD Bank and Scotiabank, but he also credits the banks with helping professionally. “I wouldn’t be here without them because they taught me so much,” he said. Along with partner Deren Hasip, who has over 20 years of experience in the banking world, Mortgage Scout was launched in July and has already been nominated for a Canadian Mortgage Award. Listening to Galang explain his approach to brokering, it’s easy to understand why the nascent brokerage is quickly becoming one to reckon with. Galang is known to treat peers with the same delicate care he does his clients and has built a reputation mentoring young brokers. In fact, helping brokers navigate the industry is one of Mortgage Scout’s objectives. 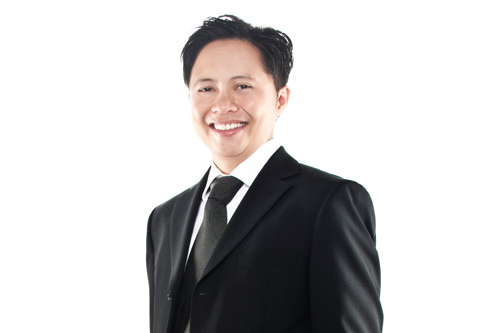 Over a 25-year career, Galang has seen it all and become an invaluable guide for young brokers. When deals go south, Galang is there to remind them that they will be better for it. “If something breaks down in a deal, I’m there because I’ve been there myself and felt the way they’re feeling,” he said. “I’ve experienced the lowest of the lows and the highest of the highs. I share my war stories with them and impart knowledge with respect to how a deal should be packaged and structured so that it makes sense to the lender. I’ll break their file apart and put it back together, but show them the reasoning through every step. Herc is a great guy and a great mentor to the staff lucky enough to work with him. Great job! Thanks Jason. We are indeed lucky to have him on our team! A fantastic guy and an amazing group. Way to go!